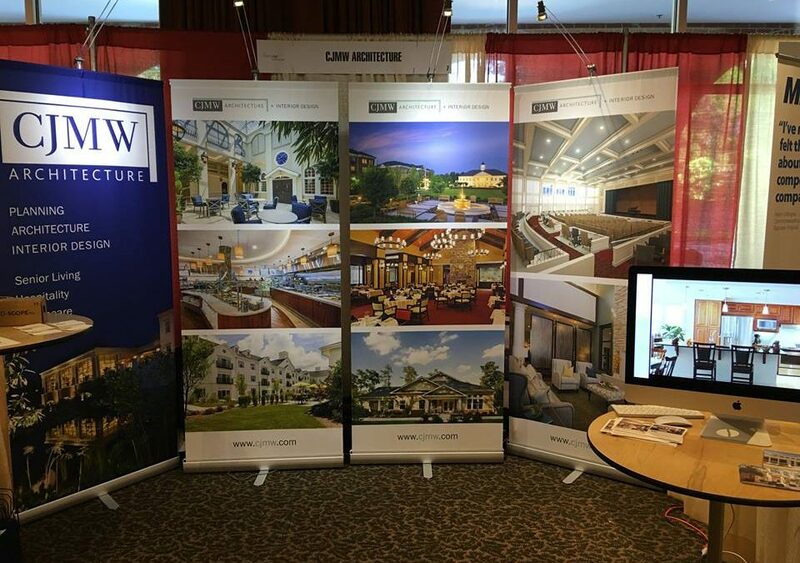 CJMW’s experience in designing innovative retirement communities was evident at at the LeadingAge North Carolina Annual Conference and Trade Show at Pinehurst. Our booth at the tradeshow highlighted current and past work. In addition, visitors could view our latest project in virtual reality. 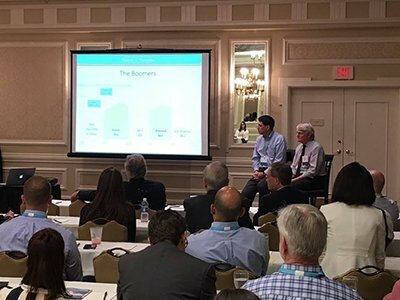 Our own Drew Kepley (left) and David Slack (of the Aging Research Institute) were among a panel of presenters discussing “Strategic and Master Planning Basics: Re-positioning for Success.” The discussion also included Doug Fleegle from Village on the Green and Rob Love of Love & Company. The panel talked about steps to an effective planning process, including conducting a market study, master planning the site, and testing financial feasibility. CJMW’s Alan Moore participated in a panel discussion on the previous day. 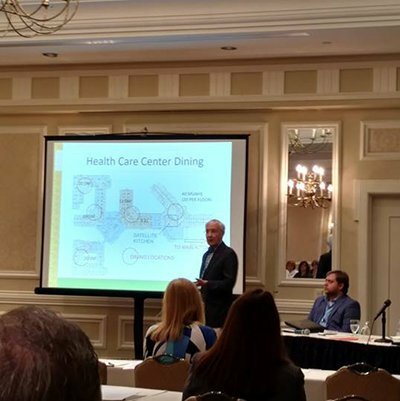 Alan, along with representatives from Frank L. Blum Construction Company and Glenaire Continuing Care Retirement Community, spoke about Glenaire’s transformation of its skilled nursing facility to a more homelike “household” model.